The Muslim Women (Protection of Rights on Marriage) Ordinance was promulgated on September 19 under which instant triple talaq has been declared illegal and punishable with a jail term of three years for the husband. 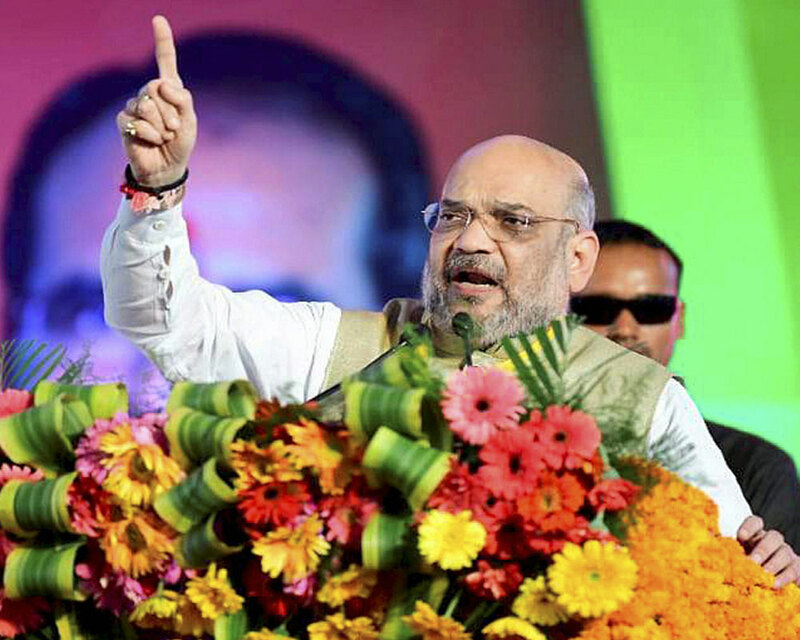 Shah said the BJP has encouraged women not just by words but by giving them important responsibilities, including as defence and external affairs ministers ministers, governors and chief ministers. He said that the BJP had created a "record" in honouring women while the Congress had done nothing for them despite being in power for a long time. "Not just by words, but Modi government has given them (women) space in the Union Cabinet by inducting nine women ministers including Nirmala Sitharaman as defence minister and Sushma Swaraj as external affairs minister," Shah said at the"kamal shakti samvad" function. Swaraj has been given prime responsibility of establishing good relations with countries and enhancing trade with them, Shah said. He added that during the BJP rule, six women were appointed as governors of states, including that of Madhya Pradesh who earlier was Gujarat's first woman chief minister. He hit out at the opposition party for "disrespecting" senior BJP leader, late Vijaya Raje Scindia, affectionately known as Rajmata, claiming that she had been "oppressed" and jailed. He added that Scindia never gave up despite the Congress troubling her for long, and this had led to the "lotus (BJP symbol) blooming in the entire region". Eulogising Scindia, the BJP chief said that the 'Rajmata' was like a mother to all party workers whom she constantly encouraged. Her life is a lesson and an inspiration, Shah told the gathering. Scindia was born on October 11, 1919 at Sagar in Madhya Pradesh and passed away on 25 January, 2001. She was a Member of Parliament for many years between 1957 and 1998.